Leaders across the organization recognize that making workforce decisions based on facts and data — instead of intuition alone — is a key route to increasing their impact on the business. Now, more than ever, business leaders need strategic insight and the ability to model how workforce trends impact revenue and profits — quickly and accurately. Deloitte has found that more than 40% of all companies are embarking on a replacement of core HR technology with modern cloud systems over the next two years. Investing in modern HR technology is smart business. But while a new cloud-based HRMS can enable faster service and more efficiencies, it can also be a lengthy and costly project that won’t bring HR any closer to being a strategic organization. Why? Because the answers to strategic business and workforce questions don’t live in transactional HR systems. Before you dive deeper into your HRMS project, it’s important to know what it will really take to get true workforce analytics from this core system. Your HRMS has no direct connection to data contained within other systems, such as your applicant tracking or performance management systems. This means any analysis your HRMS performs will be derived from a limited set of data giving you an incomplete picture. Without this connection, it’s very difficult to deliver high business impact. If your team is pursuing analytics to provide more strategic value, then you need to be aware of the hidden costs. To bring workforce data from other systems into your HRMS, you first need to collect and standardize it. This requires a data integration or data warehousing project that typically will come with a six or seven-figure price tag. Furthermore, external consultants from your HRMS vendor or a third party are needed to work with your data and stakeholders — adding to the length and cost of your BI project. By design, an HRMS is a transactional system that’s built to make administrative HR tasks easier. This means any embedded analytics are simply an afterthought — not a core, strategic capability. 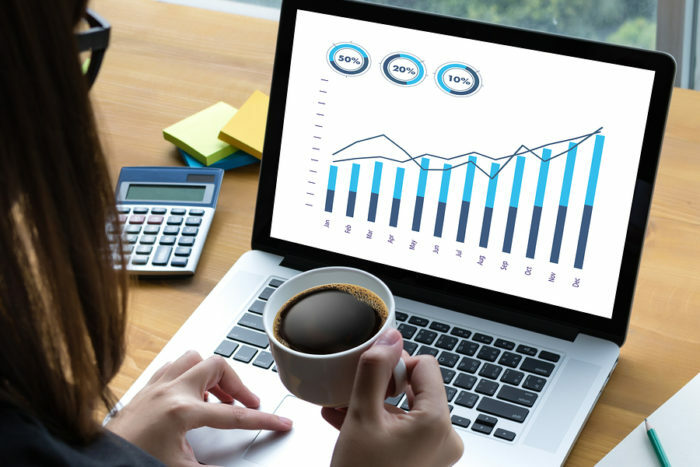 When analytics is built as a “nice-to-have” rather than a strategic business tool, your HRMS will lack critical features, such as a multi-dimensional analysis system, predictive analytics, modern analytics technology such as in-memory processing, full ad-hoc capabilities, and/or workforce planning technology. Multi-dimensional analysis, for example, is vital because it looks at multiple attributes of data at the same time and provides accurate insights. Without this feature, HR can’t drill into the specifics of things like turnover, absence, and promotion, and will be unable to identify insights that lead to improvements. No HRMS can directly connect workforce decisions with business results without a costly data warehouse, manual effort, coding, and/or hiring external consultants — and the costs add up. In retail: Do stores where employees have longer tenure report higher sales? In manufacturing: How does training spend relate to defect rate? In healthcare: What workforce drivers are linked to higher patient satisfaction? In financial services: Is the amount of variable compensation linked to the number of new insurance policies written? In technology: How does time in position relate to the first-call resolution rate of support calls? HRMS vendors typically don’t include historical workforce data in new implementations, which limits your ability to perform predictive analytics — for example, if you want to calculate which employees have the highest exit risk. To work around this limitation, you can either wait 12 to 24 months to build up a data set that’s big enough for accurate predictions or pay for the cost of adding historical data, a project that can run in the six figures for just a year of data. In addition, every time you need to add a new field, metric or data source, or if your organization structure changes, you’ll need to pay an additional cost. For HR to succeed, analytics needs to be a priority today. Waiting for your HRMS project to complete before implementing the right analytics solution will only continue to hold your organization back as the aforementioned truths revealed. Modern workforce intelligence solutions can be implemented in tandem with your HRMS, be up and running with your data in a matter of weeks, and help you measure the effectiveness and ROI of your new HRMS.